When Noah and Lot warned their respective people of God's coming judgment and destruction, the people would not listen. Instead they treated Noah and Lot as "extremists." Then the destruction that DID come found the people unprepared, and they all perished. If you have found this website and are reading this page, Jesus Christ may have already come and raptured the believing church. However, unlike the days of Noah and Lot, if you live through the period of Sudden Destruction (in the aftermath of the rapture, you may have a second chance to accept Jesus Christ as Lord and Savior, and spend eternity with Him and those who have already gone to their reward in heaven. After reading through this site with newly opened eyes, and the reality of what has taken place in the advent of the Rapture of the Church, and the worldwide turmoil that follows, even the most hardened scoffers will struggle to argue against what has happened and what is to come. Be assured, what the Bible prophesied has come to reality, and what is now to come, will also be your reality. You need to understand what just happened, why it happened, what will happen going forward, and how you can change your eternal destiny - it’s not too late, but a great sacrifice may be required. Please first view the Video linked below, then study the additional information and links provided. May the LORD bless you and keep you in these coming difficult and challenging days. I would like to give to those who are left behind a message. The Jews are God's chosen people: "For thou (Israel) art an holy people unto the LORD thy God; the LORD thy God hath chosen thee to be a special people unto Himself, above all the peoples who are upon the face of the earth" (Deuteronomy 7:7). God used the Jewish people in a special way to give mankind the Bible. He used men such as Moses and David and Solomon and Isaiah and Jeremiah and Ezekiel to be His special penmen. It was to the Jewish people that God gave His holy laws, especially the Ten Commandments, which are a reflection of God's holy and absolute standards (Exodus 20; Deuteronomy 5). Those societies or those individuals that disregard these laws are headed for trouble. Israel has divine rights to the land of Israel (Eretz Yisrael) because God Himself promised this land to Israel in the covenant which He made with Israel: "Unto thy seed have I given this land, from the river of Egypt unto the great river, the river Euphrates" (Genesis 15:18). Because of this we fully support the nation Israel in their rightful claim of the land of Israel as their homeland. Their cause is just. 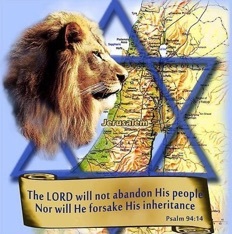 God has a wonderful future for the Jewish people. This involves the fulfillment of all of the kingdom promises found in the writings of the Hebrew prophets (such as found in Isaiah 2:1-5; Isaiah 9:6-7; Isaiah 11:1-16; Jeremiah 23:5-8; Jeremiah chapter 31, and many other similar promises). The day is coming when Israel shall dwell safely in the land to enjoy a peace and prosperity such as the nation has never had. Indeed, according to the prophets, Jerusalem will be the capital of the world and Israel will be the pride of every nation (Micah 4:1-2; Zechariah 8:22-23). In light of these great realities, we would urge you to carefully consider the information on and linked to this page. 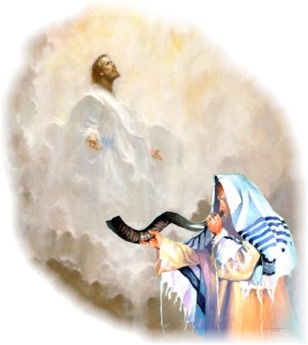 If you are on this page, the reality of the Rapture of those who believed in Yeshua Ha-Mashiach (Jesus the Messiah) may have already occurred, and you are left behind. You now have the opportunity (for a short season) to change your eternal destiny. Please review all the information at the link directly below as well as on and linked to this page. May the LORD bless you and keep you in these coming difficult and challenging days. This page (and this entire website), is hosted on OrangeWebsite.com, which is based in Iceland, and has a high level of DDoS protection from cyberattacks. OrangeWebsite is dedicated to protect Freedom of Speech and content data (they share no information with the National Security Agency “NSA”) - Iceland is also a completely independent nation outside of the European Union. This all provides the best chance for the domain and hosting to remain live during the post-rapture pre-tribulation period, and possibly 3.5 years into the tribulation period. The hosting and domain is also pre-paid for an extended period. Currently linked third-party content (specifically for this page) is in the process of being duplicated (with permissions) and hosted on this website, so it will not be lost in the advent of U.S. servers being off-line (sudden destruction event), Biblical content being erased, or unpaid hosting causing a discontinuation, after the rapture of the church. The page contains CRITICAL information for those left behind for their understanding of what has happened, what to do now, answers serious questions they will have and provides resources for making the best out of the nightmare situation in which they currently find themselves. A special section (page) for “A Special Message to all of Israel and Jews Around The World” is also featured. With the restrainer taken out of the way, and the believing church gone as well, this and other websites (that remain operational) with similar content, may be the only witness to give those left behind hope and direction. If you have a website, blog or social media site, PLEASE LINK TO THIS PAGE so that the greatest number of people left behind have the best chance of finding this information. This is also a very good link to leave loved ones to view when they discover you are gone and they have been left behind. It is also linked from the domain www.RaptureLeftBehind.com which search engines should readily find. You should also be aware of the following resource www.YouveBeenLeftBehind.com a document storage and “Rapture” triggered email messaging system. This is operated by Christians to send your message to loved ones 6-days after the Rapture of the Church, when 3 of 5 team members fail to log in over a 3-day period (because they have been raptured!). If I have missed any key resources, that should be considered, please email me at Watchman@WatchmansView.com. Second Message: Is the World Falling Apart? Our disappearance from the earth has been foretold in the Bible. It is an event that has been planned by God. Read the following Scriptures prayerfully. These are truly stunning Scriptures. They sound somewhat like Science Fiction. Except they are God’s Word. They are true. This event will take place at a specific point in time. There are other Bible passages that speak of this Event, but these are the clearest and most familiar descriptions. This event has been labeled the Rapture of the Church. It does not mean that everyone who is a church member will go to be with Jesus. It is not referring to an organization or denomination or religion. It is referring to the Body of Christ which is made up of individuals all over the world who have placed their faith in Him as Savior and Lord. When we disappear, remember, the world is not falling apart. It is falling into place according to God’s sovereign purpose. Don’t worry about those who have disappeared. Don’t grieve for us. We are safe with Jesus. We will not be coming back until He does, in about 7 or 8 years from the time of our disappearance. Our disappearance signals The Beginning of the End. God’s final judgment on the world has now begun. The world will be plunged into chaos. You will witness very quickly political, financial, national and institutional collapse. Planes will fall out of the sky when pilots disappear; cars will crash on highways when drivers disappear; battles will be lost when soldiers disappear; crime will skyrocket as policemen disappear; patients will die when surgeons and nurses disappear…you get the picture. Chaos. But there is hope. This is my word to you in that chaotic moment: We have disappeared, but God has not. He is still right there. He is the same yesterday, today, and forever. He is in control and His love for you has not been diminished. He still loves you with an everlasting love. He is still the One who is watching over you, who even now is calling out to you through this message, inviting you to turn to Him—put your trust in Him—Right now. Third Message: Is It Too Late To Be Saved? Call on Him. Cry out to Him. Just say, “God. Help me! Save me!” He is listening for your cry. It’s not too late for you to get right with God. To be on God’s side. But you must intentionally, deliberately place your trust in Him. Confess your sin to God. Tell Him why you have not put your trust in Him until now. Tell Him you are sorry; you know you are a sinner. Tell Him you believe Jesus died for you, and ask Him to forgive you and come into your heart. He will. He will place His Spirit within you and will never leave you or forsake you. As you go through the terrible troubles ahead, He will be right there with you. And if you die before the 2nd Coming of Jesus, or if you endure to the End, God the Father will welcome you into His heavenly Home because you are now His child through your faith in His Son, Jesus Christ. And God the Father takes care of His children. I’m scared to death. My whole world has just come crashing down. I’m desperate for help. For someone to make sense out of this. To help me cope with the turmoil and confusion. I know I’m a sinner. I’m sorrier than I have ever been. I am willing right now to forsake my sin. I believe Jesus died for me. I’m asking You to apply His death to my sin and forgive me. I believe He rose from the dead to open Heaven for me. I’m asking You to give me eternal life in His name. I invite Him to come into my heart, and take control. Of everything. Please. In the days that are left until He returns, I will live my life for Him. Thank You for hearing and answering my prayer. Amen. If you put your trust in Jesus, He will rescue you. He will save you. At His 2nd Coming He will deliver you from what seems like hell on earth. Once you have established a personal relationship with God through faith in Jesus Christ, you can talk to Him. Any time. All the time. Talking to God is called prayer. He is now your Father. Tell Him about your fears. Your confusion. Your anger. Your needs. Your desperation and hope. Ask Him to give you strength, wisdom, courage, direction as you live your life now under His authority. Ask Him to show you how to live in the midst of chaos. Talk to Him about anything. Everything. Nothing is too small for His attention. Or too big for His ability to do something about. And if you need help expressing yourself in prayer, read the Psalms in the Old Testament, and make them your own prayers. While the financial, institutional, national, personal, environmental storms will get worse during the next few years, your anchor of faith in Jesus that is rooted in God’s Word will hold. Fourth Message: Will There Be an End to the Chaos and Confusion? There will be an end to chaos, confusion, fear, threats, wars, betrayals, wickedness, hatred and evil. The End will come exactly seven years after a world leader signs a peace treaty with the nation of Israel. The signing of this treaty that appears to bring peace to the Middle East will actually signal the beginning of the End. For three and a half years, there will be relative peace between Israel and her neighbors. But after three and a half years the world leader will break the treaty with Israel and the pretense of peace will be erased. The final End will come when the nations of the world send their armies to the Middle East for a climactic battle known as Armageddon. When it will appear as though God’s people, Israel and Jerusalem will be overcome and the human race annihilated, Jesus Himself will return. Physically. Visibly. To the Mount of Olives in Jerusalem. He will destroy all of His enemies, save His people which includes you if you have put your faith in Him, and establish His reign and rule in the world as He ushers in His kingdom of peace, justice, righteousness and love. And the whole world will be filled with His glory! There is hope for the world. And there is hope for you. The hope is Jesus Christ. He is coming. Jesus is coming! He is coming, not just in the air to take His followers to be with Him in Heaven, but He is coming back to this earth as King of kings and Lord of lords! He is the first and He is the Last. He is the beginning of everything and He is the End of everything. He is the Lamb of God who is also the Lion of Judah. He is the Son of God who is also the Son of Man. He is the Messiah of Israel. Our Redeemer, Savior, and Lord. And He is coming again! May God pour out His Spirit upon you for the living of these critical days. I would like to say a word to those of you are receiving these messages now, before the Trumpet has sounded and Jesus returns to take His followers to be with Him. Make sure you are right with God. If you have any doubt as to your own salvation, now is the time to make sure. You can avoid God’s judgment that is coming on the world by sincerely, humbly confessing your sin, repenting or turning away from your sin, claiming the death of Jesus as God’s sacrifice for your sin, and inviting Jesus to come into your heart as Savior and Lord. In the time that we have left, live your life for Him, and Him alone. If you know that you know that you are a child of God, and that when Jesus returns you will be one of those who are caught up in the air to be with Him forever when the trumpet blows, then would you take these messages as a wake-up call? Tell someone else who has not trusted Jesus as Savior and Lord that judgment is coming. They need to get right with God now or they will come under His judgment either during the tribulation to come or at their death. Tell them that Jesus saves! Before it’s too late and they are left behind. Alternate Links provided (currently in process) in case the linked content is no longer available - the alternate content resides on this website host server. You've Missed The Rapture Of The Church, Now What? I thought I was a Christian - I guess I Wasn’t Ready! DID THE RAPTURE JUST HAPPEN? LEFT BEHIND? WHAT HAPPENS NOW? What if I Missed the Rapture Can I still be Saved? 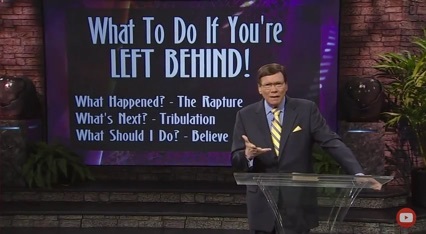 AFTER THE RAPTURE: IN CASE OF RAPTURE, WATCH IMMEDIATELY!!! Mark of the Beast - DO NOT TAKE THE MARK!